Hello!! I'm Angela with AKP! 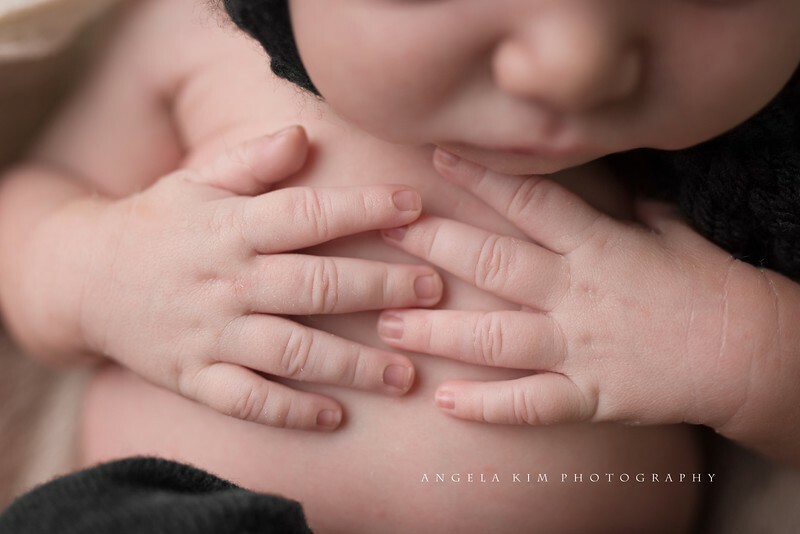 I specialize in the art of classic and timeless newborn portraiture in the Rockwall, TX area. I cover many surrounding cities, such as Heath, Garland, Richardson, Allen, Plano and Dallas. When booking a session with AKP, rest assured your session will truly be timeless. 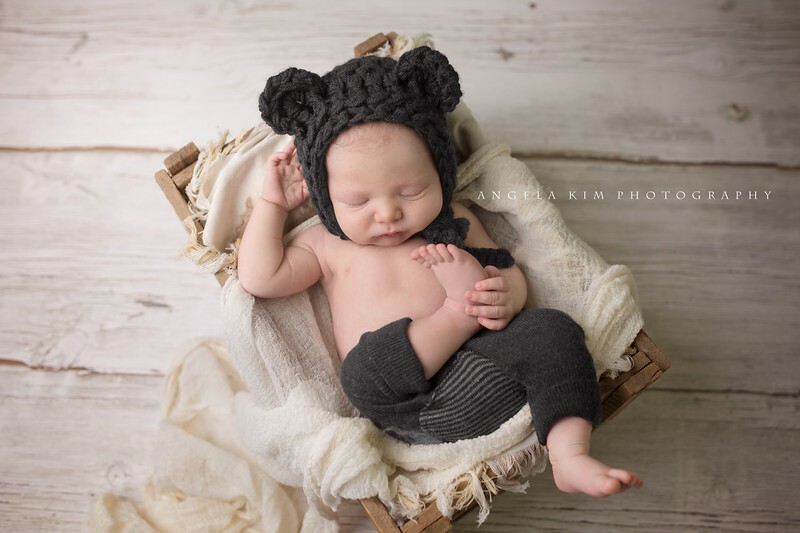 My goal is to focus solely on baby, so props are limited to soft textured wraps, knitted outfits, and cozy neutral fabrics so your baby's precious features can shine through. Today, I will go over my typical workflow when you book my Classic or Heirloom Newborn Collection. I love starting every session with baby in a basket or bucket. I find that even with fussy and awake baby's, once they're swaddled and placed on their back in a cozy basket filled with lots of layers, they tend to settle down and go to sleep. I call these my "safe shots" because I can get a variety of looks with just this one set up. I will exchange hats/headbands, adjust the wrap to hide hands and feet, and then let them poke out for some detail shots. Next, I like to move on to another beautiful texture for classic and timeless newborn sessions, and that is with a beautiful flokati rug. I have them in a variety of neutral colors to compliment my style of gentle, soft color palettes. With Jackson's newborn session, we focused on earthy tones as you see above, and for the flokati, we kept that beautiful natural tone going with a gorgeous gray. With my Classic and Heirloom Collections, I include 3-4 different set ups. This includes the basket/bucket on a wood floor, a flokati as seen above, seamless paper for family shots, and then the beanbag. Once I get the basket and flokati shots, I like to move on to the final images that will be in your gallery, and that is the beanbag. These photos and poses are truly what make my newborn sessions timeless and classic. A beautiful, soft fabric is draped across a firm bag where I can pose your precious cherub in a variety of ways to showcase all of his or her beautiful features. I begin with laying baby on his side, and then I will gently transition through a handful of poses, assuming baby stays sleepy enough to allow me to do so! Jackson was a pretty sleepy baby, so I was able to move him around and get several classic poses that you can trust will be cherished by those for generations to come! Once we wrap up your session, I post a couple of sneak peeks on my Facebook page. When you see how adorable your baby is all wrapped up and posed, I know you'll be dying to see some final images! So I quickly get to work right away doing my retouching. I like to keep skin looking soft and natural but I avoid making skin look overly smooth and plastic-like. I do like to take some extra bit of time to remove some things like milia, dry skin flakes and blotchy, uneven skin tone. Within 2 weeks, I will deliver your fully retouched gallery. I include all color images, and as an added bonus, I also include the black and white conversions. I have 3 different collections to choose from, and depending on which one you decide to go with, I will most always have more than the number of photos in your gallery for you to choose your favorite ones! The additional photos can be purchased separately or bundled together for a discount. My pricing is completely transparent and simple. Collections are all inclusive, which means you get your digital images included with the session fee. These photos come with a print release, which allows you to print your photos on your own. I do encourage my clients to print through me, especially when printing big. Not only will your photos look exactly as I edited them, rest assured the quality will be top notch! I offer not only prints, but a variety of other heirloom items. Popular choices are canvases and albums.